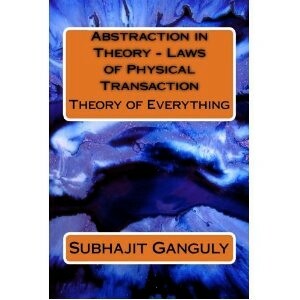 Abstraction In Theory – Laws Of Physical Transaction is Currently no. 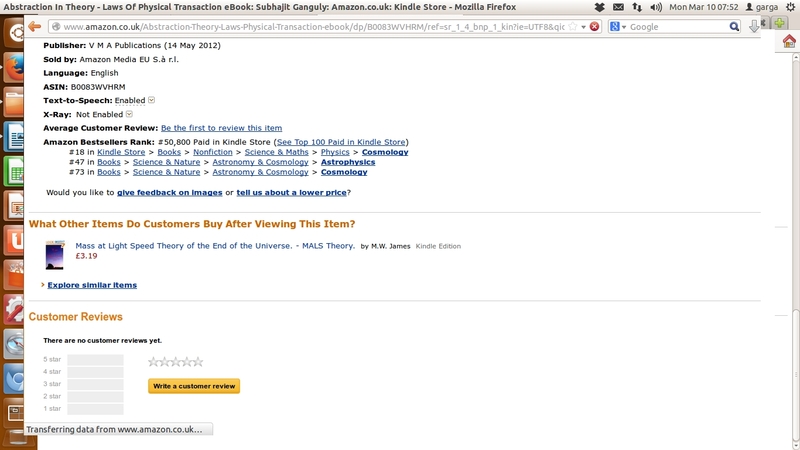 18 on the Best Seller List! Click Here to Add to Cart and Start Reading! Over some years now, a large part of the energies of the scientific community has been employed solely for finding a theory that will fit in all known happenings of the physical world. Various groups of scientists have tried to attack the problem from different ends. Some of these theories have been partly successful in explaining the known physical world. However none of these theories have been without shortcomings. Be it the much lauded String Theory or the Quantum Gravity postulation or any other such attempts towards arriving at a Theory of Everything, none have been proved to be foolproof. To say the least, nobody can deny that there is room for much improvement before we can even start thinking truly towards such a theory that would describe the known world satisfactorily and provide for a single basis of understanding the four forces in nature. On top of that, we have the newly emerging problems of ‘Dark Energy’, ‘Dark Matter’ and the like. These realms are yet to be accepted by the scientific community officially, but nonetheless, they are most definitely at least a few parts of mysteries that remain unexplained. A good and effective Theory of Everything must aim towards explaining such mysteries too. Sadly, we have no theory as yet that fulfills these criteria. Abstraction automatically gives rise to optimized solutions within the universal set of all possible solutions, as has been shown in this book. It is these optimized solutions that make up and drive the non-abstract parts of the world, while the non-optimized solutions remain ‘hidden’ from the material world, inside the abstract world. Starting from a basis of no postulation, we build our theory. As we go on piling up possibilities, we come to a similar basis for understanding the four non-contact forces of nature known till date. The difference in ranges of these forces is explained from this basis in this book. Zero postulation or abstraction as the basis of theory synthesis allows us to explore even imaginary and chaotic non-favoured solutions as possibilities. With no postulation as the fundamental basis, we are thus able to pile up postulated results or favoured results, but not the other way round. We keep describing such implications of abstraction in this book. We deal with the abstraction of observable parameters involved in a given system (quantum, relativistic, chaotic, non-chaotic)and formulate a similar basis of understanding them. Scaling of observable parameters in adequate ways is shown to unite the understanding of worlds of the great vastness of the universe and the minuteness of the sub-atomic realm. Finally, the mysteries involving ‘dark energy’ and ‘dark matter’ are uncovered using such an approach. Zero-postulation, as we can see, sits at the heart of abstraction. Null-postulation or zero-postulation favours no given result or a given set of results over all others. In that way, null postulation does not assume anything beforehand. What it does is to consider all possible results and derive the ultimate results from this exhaustive set of possible results. Each valid element inside the exhaustive set of results might interact in order to culminate into the ‘real’ results or happenings. As zero-postulation considers the exhaustive set of all possible results, it would yield to be perfectly flexible to work with. That is to say, the scaling-ratio of observations may be adjusted as per requirements an intentions of the observer. This in turn is seen to unite observables at both microscopic and macroscopic levels through a similar basis of understanding. Even the ‘non-real’ abstract points themselves in the exhaustive set may be seen to interact and give rise to ‘real’ possibilities. Through analysis of all such possibilities, combined with analysis of all real elements inside the set is the description of the world in totality. The principle of null-postulation holds the key to such total description of the world, or of any given system, for that matter. Choosing suitable scaling-ratio and identifying all real and abstract parameters within a given system enables us to describe the system in all totality. Different scales of observations may have different sets of parameters with still different sets of interactions between themselves. These various levels of interactions between the parameters may give rise to different force-fields with their own respective sets of accelerations of interactions. However, all such fields of interactions, being fundamentally similar, has a similar basis of description. In the description of the universe or any given system, there is always some ‘hidden’ information, that do not show up while the rest of the available information is being taken into account. Different sets of such available information at various levels of scaling will have their respective sets of such hidden information. This may prevent a given description of the world, or a part of it, at a given scale, from being completely deterministic. Lack of complete determinism in directiveness inside a given system, or in the universe as a whole, gives rise to hidden mass and hidden energy, that may not seem to show up in a given set of observations, but is seen to affect the overall description, nonetheless. This ‘indeterminism’ in directiveness will make the clusters to move away from each other and the clusters themselves to be bound within themselves with greater hidden strengths than is anticipated. The hidden mass exerts a hidden gravity inside the cluster concerned. The hidden energy, on the other hand, will tend to draw the clusters away from each other. For a large enough or a small enough scale of observations, this hidden amount of information concerned seems to be of paramount significance. The galaxies themselves are seen to be held together by some hidden masses, while they are found to move away from each other by some hidden amount of energy. On the other hand, in the subatomic world, particles are seen to be held together by very strong hidden forces, while they seem to be interacting with each other with some hidden amount of energies. In both the cases, a certain amount of hidden uncertainty in available information is always found to be present. At a scale of observations, which is more ‘akin’ to our own ‘normal’ day-to-day scale of looking at the world, which lies in between such vastness or such minuteness, the hidden amount of information seems to be of less significance. As the scaling-ratio and the object it is supposed to measure become increasingly commensurate to each other, the amount of hidden information for that given scale of measurements diminishes in size. Looking at a large enough part of the universe, we may draw an analogy to a system of scattered particles, in motion or rest, relative to each other. These particles may or may not be similar to each other, if we look at a given locality. Our idea, however, is that we can always represent even the whole of the universe on a piece of paper of our desired size. We can very well do the same with localities of sub-atomic sizes. We may represent both the worlds, viz., the microscopic and the macroscopic, within any desired standard size. Theoretically, we are only to diminish the snaps of the universe and magnify the snaps of the microscopic world in order to put both into representations of a definite scaling-size. Looking at such a representation of the macroscopic world (due to the large number of constituents and the large distances separating them involved) we will find it to be a complex mixture of various kinds of particles. On the other hand, looking at such a representation of the microscopic world, (due to the small distances separating the constituents) it will be like the actual universe itself, with various types of constituent parts involved. Such a representation of the microscopic and the macroscopic worlds will bring out hidden properties and behaviours of both worlds, as well as providing for a similar basis of studying them both. From the Theory of Abstraction, we arrive at ‘hidden’ direction part of an energy-quantum. Quantum dynamics is seen to merge with classical dynamics if this hidden direction-part of the quantum-states are taken into consideration, as validated by practical analysis and data. Moreover, this hidden part of an actual energy-quantum may explain the dark-energy problem. As a support towards transport comprises the direction-part only, and as the resistance against motion is offered against the whole of an energy-quantum (direction-part + magnitude-part), this hidden energy may very well affect a gravitational field. The relative periodicity of trajectories describing a given transaction seems to visit a given center of possibilities or a given set of centers of possibilities. In the chaotic region, at least, any given event seems to have a periodic set of possibilities of happening. This implies the revisit of trajectories around one or a given set of attractor points. However, trajectories seem to stray from such points and not be approaching them exactly, for any given set of measurements. 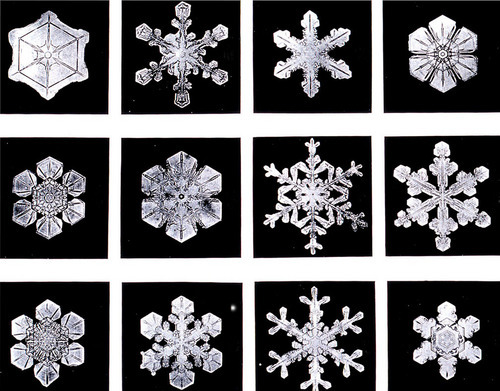 Adjusting respective scaling-ratios and choosing suitable parameters to a desired level of accuracy of predictions may ensure effective descriptions of a given system, a given set of systems, or the world as a whole. Any change in scaling-ratio such that the constituents inside the system concerned have a large enough ‘packing density’, will yield the system, as a whole, to be in a ‘condensed’ state of being, at that given scaling-ratio. Again, a suitable change in the scaling-ratio so as to break away from the condensation state yields a different set of observed results, complete with its own subset of hidden results and hidden information regions. This may explain how a whole world of its own set of possibilities can just come into being from such a condensed state of existence as the scaling-ratio is suitably adjusted. At such a scaling-ratio, this world is expected to have its own set of heterogeneity, which seems to be just the opposite of the practically homogeneous level of existence as in the condensed state. Coming into existence of such a world, as well as, any non-existence of such a world may be attributed to changing scaling-ratios. Only a suitable change in the landscaping and scaling-ratio is sufficient in describing any such existence or non-existence, as a whole. This, in turn, may be taken as the explanation of how the whole universe can begin from a homogeneous ‘nothing’ at the time of the ‘Big Bang’.